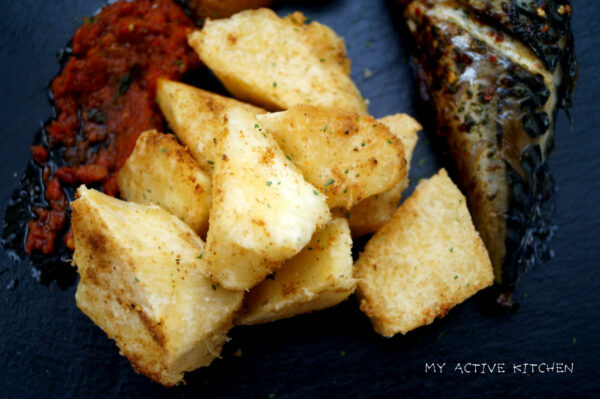 I’m really excited about today’s post and most especially the recipe, perfectely roasted yam and fish. It is Christmas soon and in some way, my Christmas menu is taking shape as planned. In a typical Nigerian home on Christmas day, the food on the menu is usually chicken or turkey, Jollof rice, fried rice and swallow with traditional soup depending on one’s geographical location. This year I’m planning something different, not necessarily complicated menu but something unique and easy, something for everyone especially you my lovely readers to cook at home for your loved ones. I’m kicking off this year’s Christmas menu with one of Nigeria’s popular street food called dundun, plantain (dodo) and fried fish (eja dindin) but with my active kitchen’s twist. I have redefined it and made it more ‘posh’ and healthy as we say. I am not going to blow my own trumpet about this recipe but really in my mind, that is what I am doing.lol.. This recipe is a must on your table this holiday. 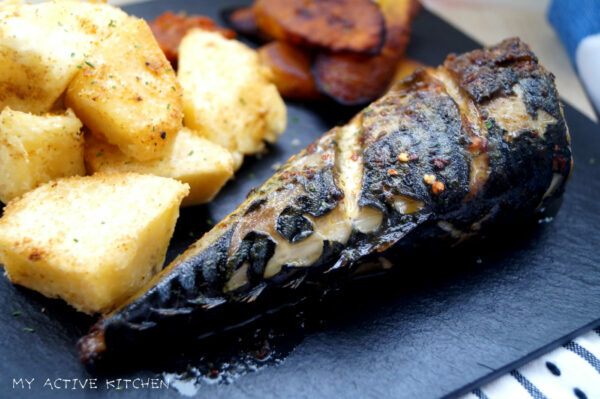 It is easy to make, the flavoured packed roasted yam and the juicy roasted mackerel fish was the highlight of this dish for me and not forgetting the Nigerian fried stew gave it the street feel. This is a complete dish and yes you can use any type of fish you want. I chose mackerel as it is one my best fishes of choice. In a bowl, add salt (I used pink Himalayan salt) parsley, liquid maggi and chilli flakes, mix together thoroughly and set aside. While you are waiting to roast the fish and yam, fry the plantain in vegetable oil till golden brown or you can choose to grill too. 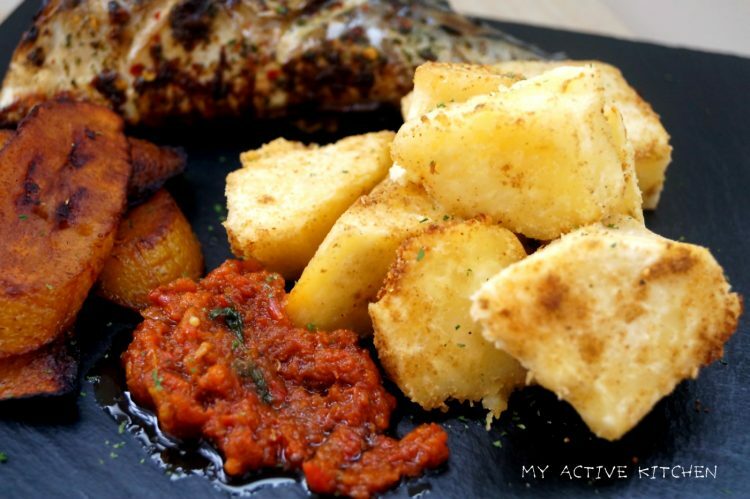 Allow the fish to rest for about 5 minutes before serving with the roasted yam and plaintain. I served mine with Nigerian fried stew and my taste buds are ever still so grateful. You are welcome Sis and thanks for trying out our recipes. I am so trying this today. Thank u so much for sharing.👌👍. Looking at it alone is making me salivate.